I have long been a big fan / advocate for the importance of the earliest American artists who sought to buck the European-inspired academic system of history painting and realism. This “bucking” began with The Ten, American artists who studied in France and brought Impressionism to American art in the 1880s and 1890s. While the trend of American artists studying Europe was not new at the time—artists as far back as the 1700s had migrated to Europe to become “masters”—it was new in that the artists of the late 1800s and early 1900s were not trying to conform to the stodgy, conservative styles that the major European academies espoused. For artists drawn to abstraction in the early 1900s, this must have been particularly daunting when they returned to the US. American patrons had a traditional obsession with academic realism. 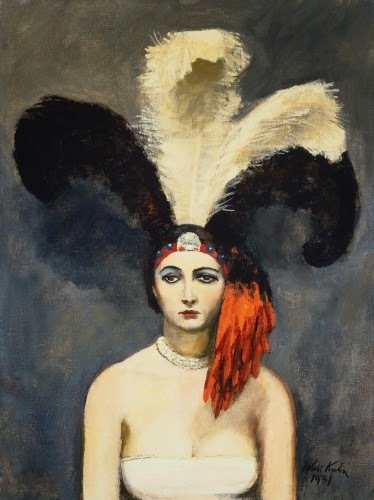 Alfred Maurer is one of my heroes because he steadfastly pursued modernism, even during the Great Depression (1929–1940), which virtually crushed any interest in abstraction in the American art-viewing public. It takes a lot of guts to buck the Art Establishment. While the academies of the US followed the same boring formula that major European academies were—i.e. realism, history painting, landscape—there were artists in the US who did not follow this trend. Maurer is unique because he grew up studying in the stifling atmosphere of the conservative National Academy of Design in New York. While there he was recognized as an excellent portraitist. However, his portraits were inspired by the works of expatriate American James A.M Whistler (1834–1903) and William Merritt Chase (1849–1916), whose work represented a departure from the American obsession with absolute realism. Maurer lived in Paris between 1897 and 1914 (the beginning of World War I). 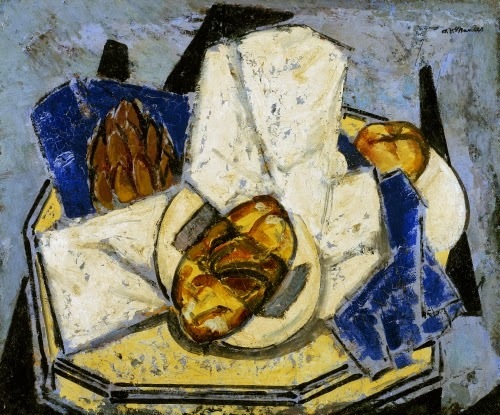 While there he associated with other Americans interested in the avant-garde, such as Arthur Dove (1880–1946). He was most impressed after meeting Henri Matisse (1869–1954), whose freedom of color and emphasis on shape affected his work. 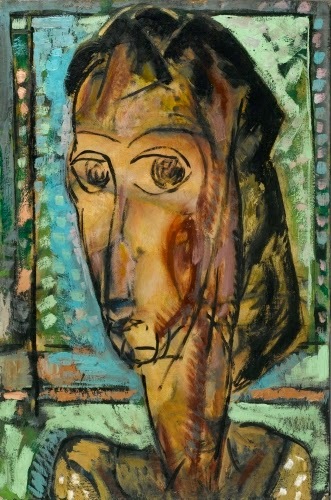 He was also affected by the efforts of proto-Cubism. When Maurer returned to the US his work began to reflect the bold colors of the Fauvist palette and the geometric lines of Proto-Cubism. 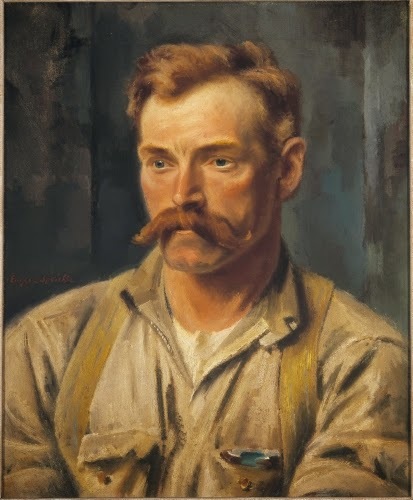 Respected by his fellow modernists in America, he exhibited in 1909 in Alfred Stieglitz’s (1864–1946) Gallery 291—the first gallery in America to show modernism—and, also the Armory Show of 1913 that featured the most up-to-date European modernism. While these portraits have a peculiarly American beauty and unapproachable reservedness to them, they in no way approach the experiment of Maurer. Here are more of his works that show how ahead of his time he was. I’m sure the Abstract Expressionists knew of the work of artists such as Maurer, and built on him. 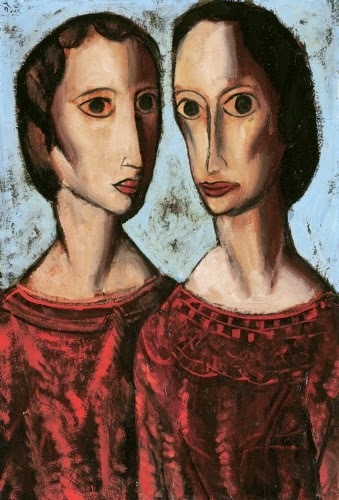 My question is this: Why are abstractionists of the pre-Depression era not Art History Household names? Frankly, Maurer’s work inspires my own painting far more than that of Benton, Hopper, Marsh, or Kuhn, all of whom were active at the same time. Studio activity: Create a portrait in an abstract style. Use charcoal, spray fixative, and colored pencils or chalk on thick paper. Base your work on the common properties of the human face, but make it recognizable as a portrait, using a photo of a family member or friend as a guide. In order to make it abstract, emphasize the important features of the face that make the subject interesting or different. After producing the basic outlines of the abstracted face in charcoal, smudge to create shading, if desired, and then spray with a fixative so that the chalk does not smear. Then apply color to the work, if desired, with colored pencils or chalk. Spray the finished work with fixative so that it does not smear. Hello! I am 14 yrs. old and have been interested in curating since I was 10. I have an online museum to honor an ignored stage in history--middle school: http://themuseumofmiddleschool.blogspot.com/ Now that I will be heading off to high school in a month, I'm looking to build my resume. I was wondering if anyone knew of communities I should be connected to in order for my museum to get noticed and/or to be involved in the museum world. Thank you!